Sponsorships are a valuable way to connect with your target audience. How are you leveraging these opportunities to increase audience engagement and improve ROI? 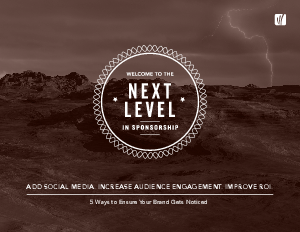 By integrating social media into your sponsorship, you'll boost exposure and attract more attention. Download this report to learn the five ways you can ensure your brand gets noticed.